After all, it is a worthwhile question to ask. A game that has been going strong for eight years now and is close to releasing yet another highly successful expansion is an obvious success story. What then, has made World of Warcraft so popular with players? As someone who (somewhat regretfully) admits playing WoW on and off again for five or so years, I feel I am overly qualified in making an assessment for why WoW had remained an engaging experience for so many for such a long time. Forks Over Knives, as you may or may not know, is a documentary detailing the health benefits of an entirely vegan diet. If it's main goal is to make you feel bad about eating poorly, then it succeeds in a monumental fashion. If however, it's goal was to convince people that eating an entirely plant based diet serves as a cure for cancer, heart disease, and other ailments, well, it missed the mark by quite a bit. It was dark. The air smelled of sulfur mixed with crushed pine needles. The car Jack found himself in was of middling size, probably a van of some sort, though he was too out of it to be sure. At the wheel was the mysterious man who took him from the museum. He was humming along to the car’s radio. A scene from the makeshift memorial for victims of the massacre. Last Friday, a deranged gunman killed twelve innocent people and injured countless others. Reporters have done an admirable job covering the cases' horrifying details, so I would like to instead talk about the next step: deciding whether or not James Holmes deserves the death penalty. I mean, it's a worthwhile question to ask right? A man who has committed such an egregious crime must be punished with the utmost severity, correct? Or no? You see, the death penalty is a complicated matter. In terms of its more simple definition, the death penalty represents merely the final step in justice. The solution to our greatest criminal problems. Utilizing it should not be done without due cause, but there should be no hesitation once all the evidence has been made clear. That is the argument you are likely to hear from those who support the death penalty. For those against it, it's all a matter of principle. What does it say about a so called "civilized" society when we take a life in the same way as the criminals we are judging? Is it our place to determine whether or not someone lives or dies? As you can see, this is a complicated matter. Both sides have merit, and both, I feel, have their applications. James Holmes deserves the severest punishment possible under Colorado law for what he did; there is no question about it. However, is it truly right to punish our criminals, even the worst ones, with an eye for an eye mentality? What does that say about us as a people? My gut feeling is that James Holmes will get the death penalty, and I don't begrudge the victims for wanting that. I certainly have no pity for Mr. Holmes and hope he gets everything that is coming for him. On a more existential level though, I wonder if the death penalty is the best solution in the long run. Sure, it gets us revenge, but it also leaves a bad taste in my mouth to know that we stooped to the same level as a criminal by taking a human life in order to solve our problems. In the future, I hope there is a way for us to come up with punishments that have the same effect as the death penalty without inducing the aforementioned moral and societal complications. What sort of punishment might that be? Who knows. In my mind though, there needs to be something done to solve the never ending death penalty debate. That way, we can begin dealing with our worst criminals in a decisive manner, without a doubt in our mind about the course of action we are about to take. The logo of a humor website that has lost much of its luster recently. Most people between the ages of 15 and 30 are familiar with Cracked.com. Essentially, it's a humor website that is regularly updated with articles written in list form. Over the past few years, Cracked's writers have been moving towards more politically slanted topics, something that I and many others could live without. I am writing this not because Knights of the Old Republic (or Kotor for short) is the hottest game out on the market right now (it came out in 2003 after all) but because it is one of my favorite games of all time and I would like to convince you all to give it a try. First off, Kotor is a role playing game which tosses your character, a run of the mill soldier/scout/scoundrel, into a galaxy wide conflict taking place between the Sith (lead by Darth Malak) and the Republic. While on your quest to stop Malak, you'll join up with memorable companions and engage in countless adventures which can lead to rewards, consequences, and everything in between. As is typical of Bioware, Kotor's developers, there are a number of twists and turns within the story that will keep you up into the early hours of the morning and are sure to compel you to play through the game multiple times. Compared to some of Bioware's latest entries in the role playing world, like Mass Effect 1 and Dragon Age: Origins, Knights of the Old Republic still stands as the the most polished, influential, and fun game to play of the three. I know that there will be many who disagree with that statement, and therefore I'll try to explain my reasoning. First of all, compared to Mass Effect 1, Kotor is a more lengthy and well rounded experience. Included in the game are a near ten hour long prologue, a fifteen hour main quest, and a five to ten hour long ending. Compared to Mass Effect 1, which has a main quest that can be completed in a matter of hours, you can begin to see why I prefer the older game. Also, the planets in the ME universe are nowhere near as fleshed out as the ones in Kotor, with every single world in the latter game having the same complexity and detail applied to them as all of the main quest planets from ME1 combined. Additionally, the dialogue wheel featured in the ME series lacks the versatility and complexity of the traditional style utilized in Kotor, causing it to feel like a much more streamlined experience. Dragon Age: Origins provides a more compelling case for being a better game than Kotor. It boasts numerous fleshed out regions, towns, and cities, doesn't have a dialogue wheel, and has at least ten to twenty more hours of content than Kotor. What Kotor has over Origins, in my opinion, is a better storyline and universe. Bioware did a wonderful job crafting Dragon Age's lore and plot, but it just can't hold a candle to what they manged to pull off in Kotor. Malak is a better villain than Loghain, your companions in Kotor are better, and the Star Wars universe itself is far more engaging. Dragon Age: Origins is definitely one of the best RPGs of all time, however, I still feel that there are certain aspects of Kotor that have yet to be improved upon in these newer franchises. 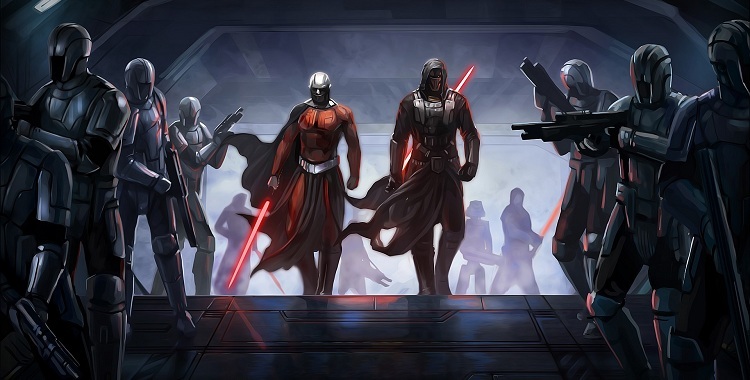 Perhaps if Bioware found some way to meld the polish, gameplay, and story of Mass Effect with the complexity, length, and detail of Dragon Age, we would have ourselves a proper successor to Knights of the Old Republic. As of now, even with the releases of Mass Effect 2, 3, and Dragon Age 2, I have yet to come across a Bioware game which matches the magic of their masterpiece from 2003. And once you've played the game and have experienced its enigmatic characters, deep storytelling, visceral gameplay, and weighty decision making, I believe you will come to feel the same way. Luckily for you, Kotor is often on sale for less than $6 on Steam. Buy it if you wish to engage in one most incredible role playing experiences of the past twenty years. 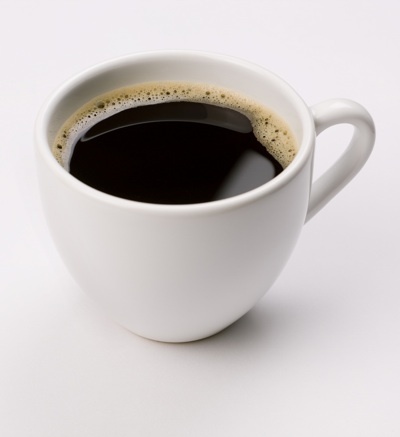 If you are a heavy coffee drinker who wants to lose a few pounds, take heed of this advice: plan on drinking a cup of coffee after each of your major meals during the day. Doing so will quickly eliminate any remaining appetite you may have had and will assist in cutting down on over-eating. Spiders hate the smell of lavender. Buy some lavender oil, mix it in a spray bottle with some water, and spritz it around the perimeter of the house and wherever you feel there are spiders. They should start leaving the area immediately. Also, consider growing lavender plants in your backyard, as this will also repel arachnid pests. Today I was watching the John Stossel show on Fox News and became a bit perturbed at their discussion of whether or not a four year college degree was worth it. John Stossel himself is fairly reasonable in his analysis and uses compelling (though often biased or one sided) evidence to prove his point. In regard to the issue of whether college is worth it, he took the stance that often times it is not and that many students are wasting their time and money trying to get a liberal arts degree of some sort. I agree and disagree. Sure, if the student is not dedicated and is picking a liberal arts degree because they think it will be the easy way out, they probably shouldn't even go to school in the first place and should try and find a job that requires a trade skill of some sort instead. However, if a student happens to be highly interested in the the liberal arts (or any of the majors deemed to be unworthy by right wing pundits) and excels in their work, I'd think that it would be a detriment if they did not attend a college to expand their knowledge and analytical abilities. It's ironic to me, especially since the pundits ragging on the liberal arts on Stossel's show all have jobs in which said degree would be highly effective. Take John Stossel's job for instance. He specializes in investigative reporting and heavy analysis/ research in order to prove some sort of thesis or make some political point. To me, that sounds exactly like the job description a political science or history major would be best suited for. In other words, while I agree that college loans are a detriment and should be heavily considered before going to a four year school, it should not be a tool with which you can use to prove that all liberal arts degrees are worthless to society and the world as a whole. Often times pundits will, as they did on Stossel's show today, attempt to prove that college degrees are worthless (unless you're pre-med or an engineer of course) by providing anecdotal evidence about some CEO that made his way to the top with a high school education. My question is this: if some CEO's are so confidant in their stance that college degrees are worthless, why do they continue to make their crappy entry level jobs require an expensive four year degree? If you are going to talk the talk, walk the dang walk. It's sickening to see jobs which pay a measly $10 an hour and yet require the worker to spend a fortune on college loans. If they truly want people to take their point of "all you need is hard work and a bit of gumption to succeed" seriously, then remove all the prerequisites to entry level jobs. If someone has a high school diploma and seems to be fit for work, hire them on the spot. Until they start doing that, CEOs who say that it's possible to just walk up the corporate ladder without a degree can eat their own words and stick a bumper sticker on their backs that reads "hypocrite" in giant block letters. Back to Stossel's show and the subject of if college is necessary or worth it, I feel that this argument is often too skewed to be taken seriously. In my mind, if you are intelligent, resourceful, and ready for a challenge, you should take the college plunge regardless of the cost in the future. Otherwise, in my opinion, you're wasting your potential, unless you happen to be one of those special people who can rise up in the world through your own willpower and determination. Again, in my opinion, these types of folks are few and far between. Don't get me wrong though, I feel the point discussed on Stossel's show has some merit. If you don't like school and want to work right out of high school, then college loans aren't worth it. Especially if you can just go to a trade or vocational school and get a head start in the workforce at an early age. However, for those of us who enjoy the academic experience, I feel that the college loans are worth it in the end if you apply yourself and put as much hard work into your studies as you possibly can. It's true that some people just aren't meant to go to college, whether for academic or other reasons. However, that should not stop those of us whose joy lies in academic study and intellectual thought from achieving our goals, no matter how much it costs when all is said and done. If you truly try to get the most academically out of your college experience, it will be worth every penny. It has it's issues, to be sure, but Endless Space is well worth it if you are into 4X space games. If you are a space junkie who enjoys strategy games, you are out of luck in today's day and age. Sure, there's Sins of a Solar Empire, but overall, there is a dearth of space themed strategy games. It's a shame really, especially since there are so many of us out there who would enjoy more of a variety of games of this type to choose from. Luckily, Amplitude Studios heard our pleas and has created a game which, though it may not be perfect, helps satiate our space deprived appetites. One of the main strengths of Endless Space is its ability to take out the clutter and micromanagement typical of the 4X space genre and replace it with a streamlined presentation which keeps the action going at a swift pace. Endless Space never has this issue, though at times, this can be a negative. 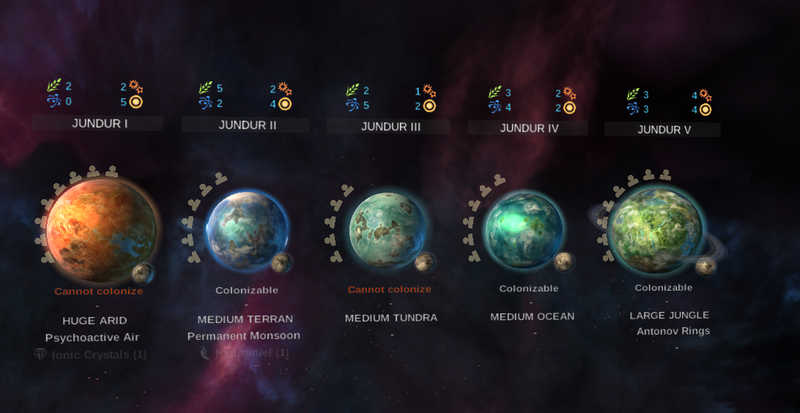 The game can be simplistic to a fault, such as when invading a planet or when modifying your ships. In the case of the former, planetary invasions are accomplished simply through the click of a button. During invasions, your fleet will bombard the enemy system, and after a certain amount of turns, you will take the system. It isn't very interactive and the only way to stop the process is for an enemy fleet to come and destroy the ships you've ordered to commit to an invasion. In other words, ground defenses and planetary upgrades have no real effect in repelling an invasion force other than causing it take more turns. If you don't send a fleet to repel the enemy, you will lose your system no matter what. As for modifying your ships, Endless Space offers relatively limited options. You can change what weapons, defenses, and support modules are on your ship, but you have no say in their visual appearance (neither for the ship itself or for its modules). This is an annoyance coming from Galactic Civilizations, but by no means is it a game breaker. In reality, it just means you'll be spending more time playing the game instead of fiddling around in the shipyard adding new fins to your custom cruiser. The research in Endless Space is pretty standard. There are four branches, each offering different ways to advance your empire. Unfortunately, different races don't have varying tech options so don't expect too much of a different play style when choosing another race to play with. And just so I don't end this review on a bad note, I will say that the battle system in Endless Space is amazing. To me, it provides a great solution to the problem of boring Civilization-like combat in 4X games. I don't really like the idea of real time battles in the turn based genre as I'm more into Empire management than I am into combat strategy, and Endless Space's card based system works well to provide a middle ground of sorts. Essentially, the manual battles take you to a cinematic view of your fleet engaging the enemy, with you being able to choose certain strategic cards which provide some sort of benefit to your ships. These benefits can be negated or enhanced based on what the enemy chooses, so it's important to put some thought into your choice. Do you boost your offense at the cost of losing defensive capability? Do you risk disrupting the enemies weapons instead of increasing the power of your shields? Questions like these will be asked frequently in the heat of battle, and often times the right card choice is the difference between getting wiped out and beating a technically superior enemy fleet. Overall, Endless Space is a worthwhile space 4X game that will keep you up well into the early morning with its addictive and uncomplicated turn based gameplay. Though sometimes the game can become too simplistic compared to its contemporaries, the spectacular combat system and non-migraine inducing Empire management features more than make up for that. Endless Space isn't the game of the year, nor is it the best 4X space game of all time. However, it will definitely please fans of the underdeveloped space strategy genre. If I had to give it a number, I'd say this game is an 8/10. Not perfect, but still a great experience. And for thirty bucks, it's well worth the price. With further community and developer support, there is no telling how much this game will improve in the future. For Endless Space, the sky truly isn't the limit! Last year I bought a Nintendo 3DS with the expectation that I would be using it to play all of the rpg series' I missed out on during the DS/PSP era. Exactly 11 months later, the only rpgs that I have played on my 3DS are Pokemon Black and Chrono Trigger. Notice something off about that? If not, you should, because both of these games were made for the original DS, not the 3DS. Luckily, it seems like the amount of rpgs being released for the 3DS will begin to ramp up in the coming months. Kingdom Hearts, Heroes of Ruin, Fire Emblem, and a few others should be out by the end of the year. Still, it's sad that I've had to wait this long to finally get a decent selection of games to choose from. The fact that the 3DS XL comes out next month doesn't help either, as I could have held off on buying the 3DS altogether and waited for it's newer iteration if I had known there would be zero rpgs released for the system up to this point. Don't get me wrong, it's been fun playing DS rpgs and Mario Kart ( I have Ocarina of Time as well but I find it extremely boring, sorry old time gamers), but I feel like its taken much too long to get the 3DS rpgs out onto the market. Thankfully, it still appears I made the right choice in choosing the 3DS over the Vita, as the latter looks like it will be even worse than the former in terms of being able to provide handheld rpg experiences. 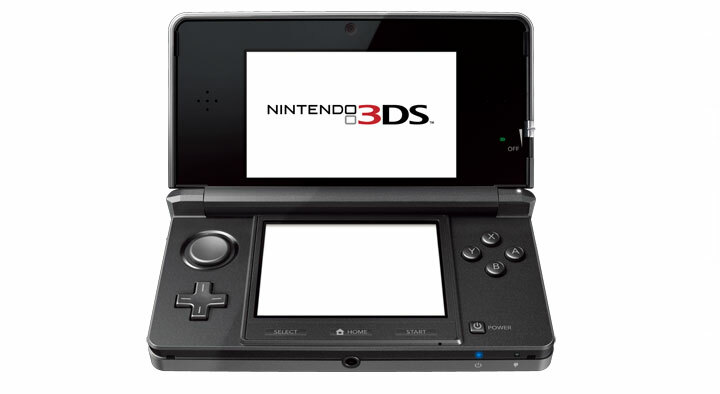 Hopefully by this time next year I'll have plenty of reasons to fire up my frequently dusty and underused 3DS. This is about as far away from Earth as most astronauts ever get. As a fan of science fiction, I may be overly optimistic of our prospects for extensive space exploration in the near future. Be that as it may, I see no reason why we shouldn't try. What is there to lose? Dissenters will argue that we would be better served spending money here, at home. Doing what, exactly? Spending it on wars we do not need? Boondoggles which will end up serving no purpose when all is said and done? I suppose that this latter argument can be made against space travel, but it would be a mistake to do so. The research, knowledge, technology, and inspiration we get from reaching out to the stars overrides any short term financial costs. It's amazing to me how NASA manages to accomplish what little they do with such a small percentage of our budget to work with. President Obama has the right idea with his idea to transition the space exploration industry to the private sector, though I believe he has jumped the gun by several decades. He of all people should know that many of the most ingenious human projects began at the government level. There isn't enough organization and direction at the private level to spearhead something like space travel, which won't make any real profits for years to come. The government needs to provide a framework. Whether it's a moon base, technology to reach Mars, mine asteroids, or construct extensive space stations, Uncle Sam needs to take the first step in such a vast undertaking as this. Then, if we're lucky, we will be able to hand the keys over to private industry. I am still saddened by the fact that, since the 1960s, humanity has made little progress in terms of space technology. Nothing we have built since then has compared to the Saturn V rockets, and with the ancient shuttle program finally being retired, there is very little we can hope for in terms of progressing beyond the boundaries of Earth's atmosphere. Opportunity awaits those willing to explore the heavens. With NASA still quibbling over the details of a Mars mission that may or may not launch in 2020, 2030, or 2040, it appears as if we'll have to wait a bit longer before we can begin to live out the fantasies portrayed in science fiction.